We have all had the experience of that wrenching pain in your back when you reach for something or bend over. The pain hurts so bad that you can barely move. This can, and usually does, occur when you are doing a normal and simple action like reaching for something in your kitchen cupboard or bedroom closet. So, how does this injury happen when you are doing an activity that you might do every day? Well, the correct answer is, it actually didn’t. The situation occurs when you already have a muscle that is strained or has been overextended prior to this occurrence. The body causes that muscle to become stiff or rigid to protect it from any additional damage to the area. We see many patients in our office that have just made one movement , even while sitting in front of their computer, that caused a spasm in a particular area of their body. The medical explanation of what actually is occurring is that all of the muscle fibers in this area contract at the same time, causing the cut off of blood flow that causes the muscle to contract further and the result is an extreme and immediate elevation of pain. At OC Ultimate Wellness, we have our patients primarily rest in order to help the healing process that could extend for several weeks. While we understand this can very difficult for many people to do in today’s busy world. We also require that plenty of ice and heat are applied to the injured area throughout the day. We include massage therapy as an additional treatment to assist in pain relief. The intake of additional calcium, magnesium and water has also been proven to provide faster healing. We also encourage our patients to include a regular, customized program of chiropractic care and adjustments in their therapy regiment to ensure that future occurrences like this are prevented. Call today (714) 891-7870 to make an initial appointment with our team! If you are pregnant and have never seen a chiropractor before, it might be a good time to start. At OC Ultimate Wellness, we have helped many of our pregnant patients and treated them for neck and back pain which resulted from normal weight gain and altered biomechanics during pregnancy. Our specialized chiropractic care can improve balance and alignment in your spine and pelvis areas as well. These treatments can provide a more comfortable pregnancy and delivery for both the mother and baby. The aches and pains that develop during pregnancy are associated with the numerous changes that occur in a women’s body. The stress that is associated with these changes can alter the way you move, sit, and sleep which can cause severe discomfort. Recent studies have found that about half of all expectant mothers, at some point during pregnancy, will develop lower back pain. These changes will typically disrupt the normal curvature of the spine and could to lead to other sciatic symptoms and neck pain. The changes in hormone levels have the potential to loosen ligaments that attach to the pelvic bones and could make it more difficult for the body to accommodate a growing baby. Chiropractic care can help the baby assume their optimal birthing position and reduce the mother’s risk of having a breech baby. Regular chiropractic care can also provide a more comfortable pregnancy and delivery for both the mother and baby by stimulating the nervous system to enable proper functioning of your reproductive organs. As an expectant mother, you may have or you will, experience a few of the following symptoms including nausea, morning sickness, back and pelvic pain, shortness of breath, elevated blood pressure and changing hormone levels. While under chiropractic care, these symptoms and the intensity of all of them can be greatly diminished. Under the direction of your body’s nervous system, you will adapt to the various changes associated with growing a new life inside of you. This new life you carry will do all that it must to preserve the health and wellbeing of itself. Your baby’s needs will cause your own body to experience a number of deficiencies that you will have to adapt to. At OC Ultimate Wellness, in addition to relieving your symptoms and pain associated with pregnancy, we are also able to offer advice on nutrition, proper ergonomics and exercise recommendations. Please call us today to schedule a consultation with Dr. Randy Ramirez at 714-891-7870. www.ocultimatewellness.com. Our simple answer is that the muscles that are around the sides of your neck, chest and back of your skull will tighten and cause tension headaches, also referred to as “Upper Crossed Syndrome”. This forces your tight muscles in these areas to work even harder and it causes a sort of “vicious cycle” and transfers from one area to the other. The nerve endings that are located in these areas are very susceptible to motion. As a result, when they do not experience any motion or feel too much motion, it forces them to react in a way that causes stiff neck pain and local muscle imbalance. We know that there are many reasons that might cause a person to begin developing Upper Crossed Syndrome. A few of the more common are sitting for long hours with poor posture or spending a lot of time on the computer or phone. If done for an extended period of time, it could cause a requirement for professional assistance to break free of the habit. At OC Ultimate Wellness, our goal is to ensure that we provide the necessary treatment to rid the patient of this pain. In order to reverse the cycle of Upper Crossed Syndrome, we customize a unique therapy plan to ensure we start to reverse the cycle as soon as possible. 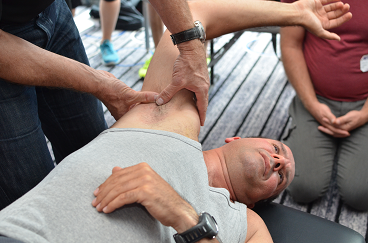 The typical plan includes stretching that is targeted and utilize the appropriate trigger point techniques and manipulation. In addition, we also include acupuncture, natural muscle relaxants and a topical pain reliever, if necessary. Our individual customized therapy plan also includes training your body by teaching you to utilize your core muscles more often to relax your neck. This will assist you in the modification of your position that caused this to occur and automatically relax your neck to effectively manage your Upper Crossed Syndrome for the long term. As we utilize this treatment plan, most of our patients have significant improvements in their first few visits. We ensure that we work with each patient individually and at their pace to ensure that we have success and help them achieve their goals. Please call us anytime to schedule an appointment at 714-891-7870. We look forward to making you more comfortable and relieving your neck pain. In my previous Blog post, I provided an overview of Active Release Techniques and how we treat our patients here at OC Ultimate Wellness. We continue to have great success as we utilize this highly effective approach to treating soft tissue injuries and the associated pain that results from them. There are over 3,500 certified providers, including medical doctors, chiropractors, physical therapists, and athletic trainers worldwide, and growing. The technique continues to be widely utilized by professional athletes and teams (NFL, NHL, NBA, etc.) and is used regularly by amateur and professional athletes alike, not only to help with rapid injury recovery, but also to improve their overall athletic performance. These injuries will result in a series of physiological responses. The initial physiological response by the body is swelling or “Inflammation” in the affected area/tissue. In an attempt to heal the injury, the body will begin the “Repair” process by creating scar tissue. During the final 2 phases of “Remodeling” and “Maturation” the body is simply attempting to organize and orient the newly formed fibers to restore the injured tissue closer to its natural state. How can OC Ultimate Wellness help? As a Full-Body certified ART provider and a Certified Strength and Conditioning Specialist (CSCS) Dr. Randy Ramirez, and the trained staff provide the highest standards of care in structural, biomechanical, and soft tissue treatments. In the last few weeks, Southern California has been home to a few “high profile” running events. 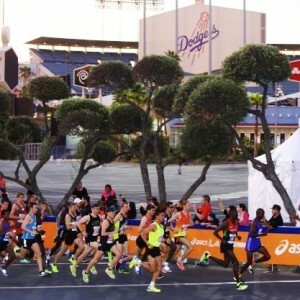 The city of Los Angeles was the host for the U.S. 2016 Olympic Trials for both the Men and Women’s Marathon that will be held in Rio later this year. 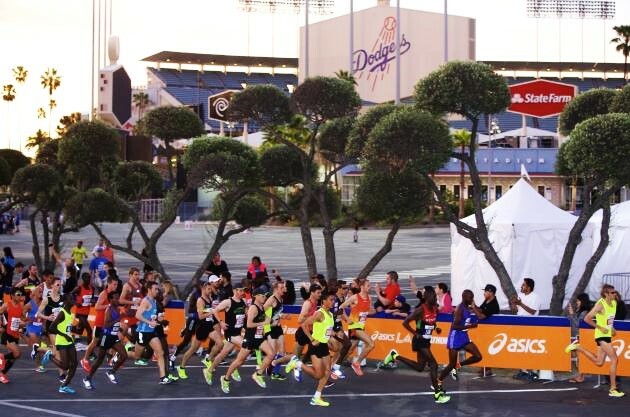 In addition, the Los Angeles Marathon was held this past Sunday and hosted over 27,000 runners from all over the world as they ran 26.2 miles from Dodger Stadium to the Santa Monica Pier. The popularity of the sport of running continues to grow due to the individual health benefits and the minimal cost associated with becoming a runner. Every runner, regardless of experience, is aware that pain is an “inevitable part” of being involved in this sport. As a beginner, your body adjusts to the new form of exercise, from the deep burn in your lungs to the mental and physical struggle of pushing through a long run workout. The extreme fatigue and soreness in your legs after finishing a long run and the potential battle with a lingering injury are all typical examples of the types of pain and discomfort associated with this popular sport. So, how do you tolerate this and get past it? 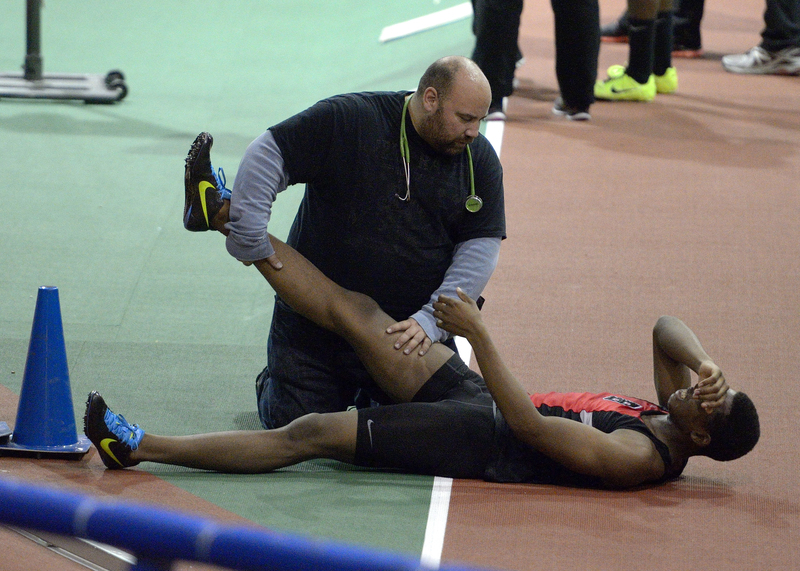 The more I work with runners, the more I understand that pain is a part, and accepted, as the norm in the sport. However, there is no reason that you should tolerate any type of pain when you run. There is some pain that is unavoidable, but foot, leg, hip, and even shoulder pain should not be tolerated when you run. As most everyone who has been involved in a sport or physical activity knows, pain is a symptom of some sort of dysfunction occurring in the body. It could be caused by poor mechanics, not enough rest or even a muscular imbalance. At OC Ultimate Wellness, our team understands that the treatment of this dysfunction is vital to the resolution of the pain. In my education, training and experience, I am aware of many different approaches for the treatment of “dysfunction”. Active Release Techniques that include stretching, strengthening and gait analysis are a few that we offer at our practice. I will focus on the benefits of Active Release Techniques (A.R.T.) for the remainder of this article post. I am often asked, “What are Active Release Techniques” and what do the typically treat? 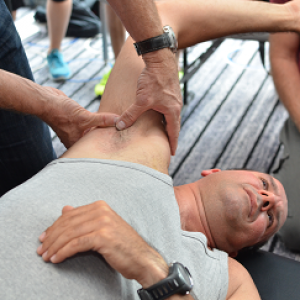 Active Release Techniques are a massage based treatment that utilizes pressure that is placed precisely with the provider’s hands and focuses on specific types of therapeutic movements to isolate individual muscles and muscle groups. This therapy technique was developed to treat muscles, ligaments, tendons and nerve entrapments through the removal of any adhesions and scar tissue. Shin splints, runner’s knee, plantar fasciitis, sciatica and even headaches are just a few of the more common conditions that can be easily treated with the Active Release Technique therapies. When I am able to break up the adhesion, it will immediately increase blood flow and correct the dysfunctional pattern occurring within the tissue. This allows for an increase in strength, range of motion and most importantly, the decrease in pain the patient is experiencing. I am often asked by runners, and other active patients, if they have to stop running, or their activity during treatment? Understandably, most everyone fears the answer will be “yes”. However, in most all cases, I encourage my patients to continue their training. However, if the issue is significant, I will recommend “rest” for concern of the condition to worsen. However, as it relates to this article, most all of the typical running issues do not prohibit continued training. It actually allows for continued blood flow to the affected area and increases the oxygenation of the tissues and assists in the repair while helping retrain muscles to work and regain strength. What I always tell my patients is, “do not tolerate the pain”. A typical Active Release Treatment includes a total of 4-6 visits on a twice a week basis. Occasionally, a patient may need more or less, depending on the severity and length of their particular issue. I know that we all expect a certain level of pain during our training, however, please remember that it should not be tolerated as the long term damage could put you out of a sport or activity that you truly enjoy. While training, keep in mind that “pain is telling your body something is wrong” and “Active Release Techniques” are the answer. Please call us for an appointment, 714-891-7870.